Day of the Moon suffers from a unique problem in that it raises more questions than it actually answers. There’s a lot to process here, much of which will continue to play out over this first half of the sixth series. However, even with this, the episode was able to accomplish a variety of different things. The Silence prove themselves to be more than scary threat, giving us one of the most terrifying episodes of Doctor Who I’ve seen. On top of that, we’re provided with an episode that shows the Doctor at his very best. Moffat’s handling of the Silence threat was brilliant writing, but I hope that we haven’t seen the last of them. Then we have the ending. If the first/last kiss between River and The Doctor wasn’t killer enough for you, we’re handed the situation with Amy’s baby and the fate of the little girl in the space suit. These plot points won’t be solved anytime soon, as our trio is off on some adventures before dealing with the matters at hand. The Curse of the Black Spot, however, is just a standard outing for the show. There’s a lot to like from this episode, but I think it suffers a little from the fact that it’s in a between an episode that raised more questions than answered and an episode written by Neil Gaiman. Even though the narrative of the episode isn’t as engaging as previous episodes, it does boast some fantastic acting, particularly from Karen Gillan and Matt Smith. – Smith and Gillan nailed that scene towards the end of Curse. Even though I knew Rory would make it out all right, these two brought a particularly powerful gravitas to it. – Still no idea of the little girl at the end of Moon, although I’m confident it’s Amy’s daughter and that the TARDIS has affected her in some manner. – I don’t think we will, but I would love to see Canton show up again. – I have a feeling it’s going to be a while before we find out about this woman in the eyepatch. – I really like the fact that everyone is hiding something from one another. Amy and Rory are hiding The Doctor’s fate from him, River is hiding her true nature from everyone, and The Doctor is hiding details from Amy about her pregnancy. Not much to talk about for these two episodes, but I’m sure I’ll have plenty to talk about next week. I can’t remember the last time I was as excited as I am for Neil Gaiman’s episode. 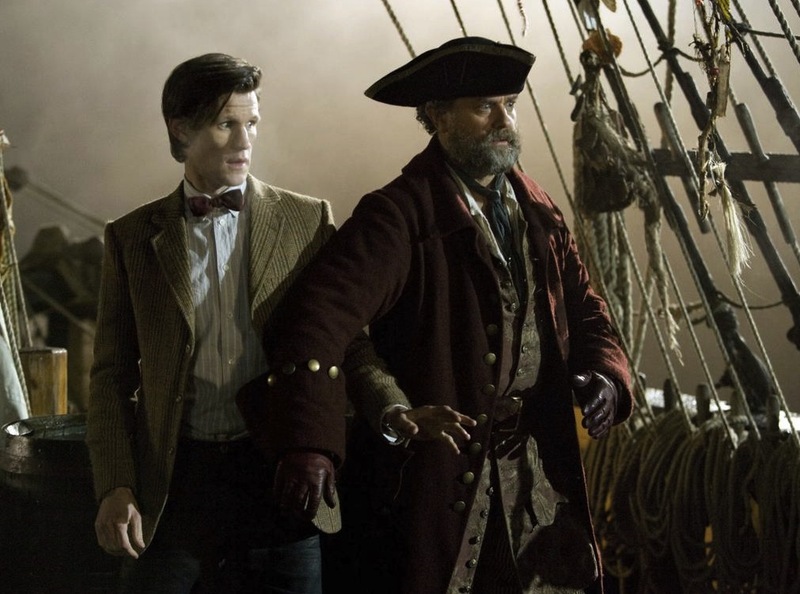 Until we get The Doctor’s Wife on Saturday, sound off with your thoughts in the comments below. 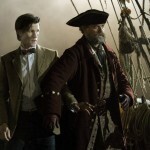 ‘Today’ Host Meredith Vieira Films ‘Doctor Who’ Cameo – and Reveals Some Big Spoilers!